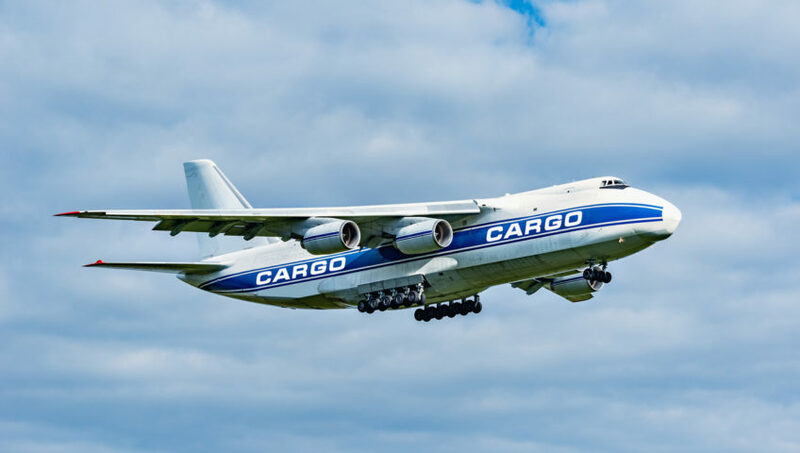 In an age where every sector seems to be moving in fast forward with regards to embracing new technology, the air cargo industry is, by comparison moving at a snail’s pace. 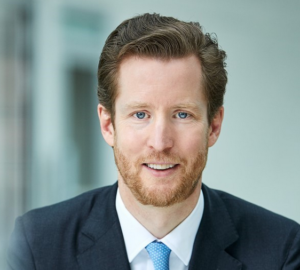 The issue came to a head at the recent Air Cargo China event in Shanghai on May 17th when Lufthansa Cargo chief commercial officer Alexis von Hoensbroech stated the air cargo industry’s track record with regards to new technology was “embarrassing”. “Although there are many ideas on what technology can bring, the ability of this industry to embrace change is actually very slow. We’re full of buzzwords and everybody talks about them without really knowing what’s behind it,” he said. In a panel discussion on the future of the air cargo industry, von Hoensbroech went on to say that the industry as a whole could save billions by automating transactions. He indicated that his research shows that approximately 70% of current transactions can and should be automated using robotics or artificial intelligence. “In my opinion 70% of the quotes we give out today are available for such robotics and artificial intelligence and I think that if we could get that then we could save a huge amount of manual work and this could cut $1bn-2bn from the air cargo supply chain just by optimizing this type of transaction, so there is huge potential.” He said. He went into detail, presenting an example where a shipper emailed a group of forwards with an RFQ. The forwarders contact their airline partners, review and send to the shipper. The shipper reviews, compares and makes his decision. The time and effort involved with all the back and forth, combined with the unreliability of traditional emailing is where the waste occurs, while platforms like airfreight.bid are available to streamline this process. Others, including Turkish Cargo chief cargo officer Tarhun Özen agreed, adding that the industry as a whole is fragmented, which hampers efforts to get everyone from the forwarders through trucking companies working together. By way of presenting a solution von Hoensbroech said the first step should be to embrace electronic air waybills (e-AWBs). “People started talking about them in the late nineties, but it took more than a decade to actually turn the idea into a product. Now in 2018, we’ve just achieved 50% e-AWB penetration. This is 20 years after we started talking about it. It’s a really embarrassing performance in terms of implementation.” said von Hoensbroech. Taking this first step opens the door for further implementation of modern digital communications in the air cargo industry. Perhaps as motivation for forwarders to move away from paper and into the digital realm, in March of this year, Lufthansa Cargo introduced a surcharge for freight forwarders that use paper-based waybills. The surcharge, which will start at approximately $1.20 this month and rise to $14 by October is a fee Lufthansa says it don’t want to collect. “We don’t want to make money on this, we don’t want to collect this fee. We want to collect e-AWBs.” von Hoensbroech said. For more on how you can bring your air cargo services into the 21st century, Click Here. The new year is here are that means supply chains all over the world are working vigorously to recover from the holiday rush. 2018 is sure to have a lot in store for the industry but the lessons learned last year will help point businesses in the right direction. It’s time to take a look back at the stories that had the largest impact on the supply chain community and review these important concepts. The articles listed below offer a quick overview of the supply chain and logistics content that stood out in 2017. Be sure to soak up as much of this information as possible in order to make 2018 the best year yet. This section has a special place in the AirFreight.bid’s teams heart. 2017 was filled with some devastating natural disasters and the team here wanted to do anything they could to help. Below are the services AirFreight.bid offered during the terrible hurricanes that wreaked havoc on Florida, Texas, Puerto Rico, and the US Virgin Islands. The question supply chain professionals are asking now is “what comes next?”. It’s hard to tell what the future holds because of how fast technology is driving the modern industry forward. However, there’s an easy way to stay informed with all this progress. Be sure to follow AirFreight.bid on Twitter, Facebook, and LinkedIn for the latest updates and insights surrounding the supply chain industry. a $499 value free for 30 days! Nearly every industry is beginning to feel the impact of the transforming world. Complex consumer demand, e-commerce and modern technology have upended most conventional business models. The fashion and apparel industry is now starting to realize that this outside pressure is weighing on their business practices and the only way to compete is to focus on their supply chain. New challenges are presenting themselves at an alarming rate and without innovating and adapting to current trends, designers next look may never reach customers. Recently the Council of Fashion Designers of America, Inc partnered up with DHL, their logistics partner to get to the bottom of the challenges facing the industry and what role the supply chain will play. The conventional supply chain in the apparel industry separated designers from consumers through a heavily siloed and rigid process. This left most of the power in the hands of the manufacturers, suppliers, and distributors but this is all beginning to change. Digital business models and new, modern services have shifted the balance of influence and designers need to adapt in order to survive. With power distributed throughout the fashion supply chain, designers will need to become much more involved with their flow of materials, manufacturing partners and find savings through the distribution process by leveraging modern supply chain technologies in their favor. Consumers have become much more influential. With literally billions of options all available at a click of a button, designers have to pay considerable attention to the speed in which their products can reach consumers. Whether it be through retailers or direct to consumer, a manageable and efficient supply chain will be vital. Innovative technologies are beginning to open up new doors offering apparel professions the power to control and gain unprecedented insight into their distribution practices which have the potential to bolster their competitive advantage. 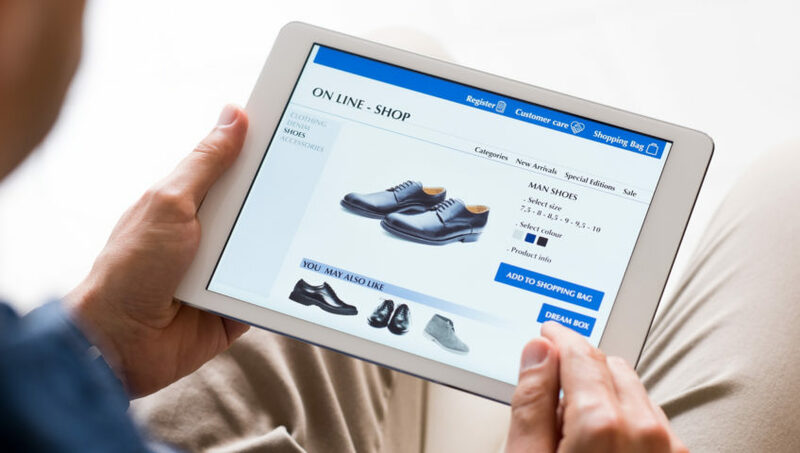 As the fashion industry begins to embrace digital business models to meet increasing expectations there are now emerging technologies that can work in tandem with the shifting industry. Some of these technologies help increase speed, visibility, and create an environment where collaboration can thrive. These emerging technologies offer designers the option to get more hands-on with their distribution network and gain better insight into their own supply chains. The way in which retailers, suppliers, and manufacturers handle their supply chains are changing rapidly. Understanding what this will mean in the apparels industry will be vital in order to remain competitive. In fashion, demand is becoming much more complex and speed to market is everything. If designers aren’t able to efficiently and effectively distribute a specific product line fast enough, those that have a more sophisticated way of handling their supply network could beat them to the punch. The fashion industry is in an interesting position. On one hand, technologies are making it easier than ever before for designers to maintain control over their distribution process however, those that aren’t up for the innovation challenge will fall behind. The best way to ensure a brand continues to reach its customers in the highly competitive fashion and apparel industry is to utilize the latest supply chain technologies and embrace the digital future. When it comes down to it, every business that handles freight is looking for a new, streamlined system to help alleviate costly issues. 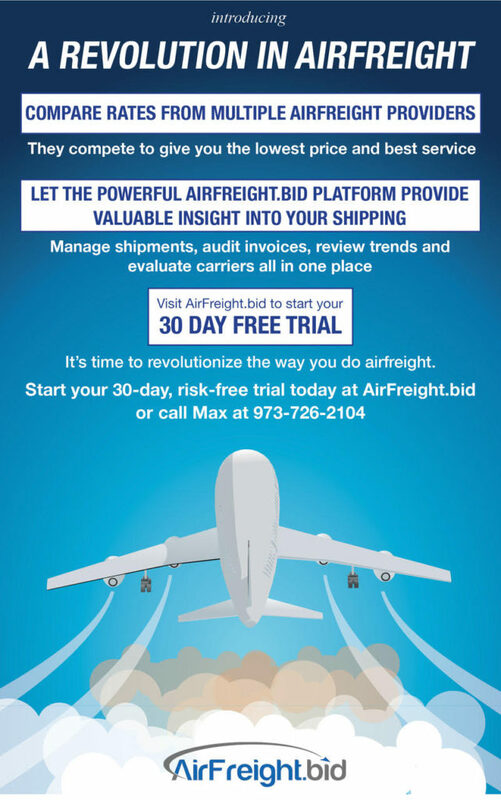 AirFreight.bid offers one of these solutions and the customizable platform is revolutionizing the industry. Most subscribers experience lower, more competitive shipping rates, after using our innovative portal. You can now sign up for free today and see just how much your business can save. In an industry where innovation happens slowly, there are still technologies out there ready to help. Businesses still see logistics and their supply chain as separate from critical processes but this couldn’t be further from the truth. Innovation and progress in a businesses logistics practices can help reduce costs and increase customer satisfaction. Managing and maintaining a modern supply chain can be a challenge. If a company doesn’t have a dedicated individual working on the process, it can seem impossible to control and improve. Yet there are innovative and transformative solutions out there for businesses of all sizes to remove the headaches associated with innovation. When it comes to air freight, a new service is leading the charge. The world is more connected than ever before so there’s no reason air freight can’t be as well. That’s the fundamental principle of AirFreight.bid, connectivity. Using this platform, businesses will have unprecedented capabilities and reduce the hassle of air freight and improve the overall process. Change is always intimidating, even when it’s meant to improve a process skepticism and worry can cause a business to hold off. This could be a catastrophic mistake as businesses continue to innovative to increase their competitiveness. Collaboration, emerging technology, innovative supply chain software or platforms are all a part of the modern business landscape. Without embracing the transforming industry there is little chance to keep up with those entities bold enough to move forward. The act of transporting freight is at an important crossroads. 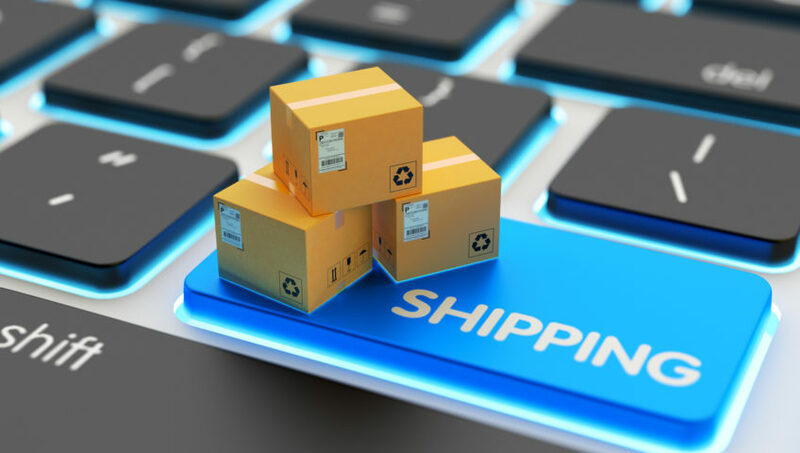 Businesses that take the time to review and reinvent the way they handle their logistics are at an incredible advantage over those refusing to embrace this innovation. Below are some examples of the changes happening all throughout the industry. Upgrading to a new air freight solution can be intimidating for even the most innovative companies. However, at AirFreight.bid we want to offer businesses a chance to try the service for free. Risk-free and easy to use, businesses only stand to gain. Come take a look at the Free-Trial offer and see if this service is the right choice for your company without the added stress of a major investment. The business landscape is changing rapidly and new technologies are disrupting a host of industries. From manufacturing to the supply chain, digital systems are revolutionizing how age-old processes are executed. When looking at the supply chain, technology has had a monumental impact on the way products reach their destination. However, people are still at the heart of the supply chain and these new systems require the workforce to be on board. Implementing new technology into a supply chain causes a chain reaction that could dramatically improve the efficiency of a supply network. Understanding what this will mean for business, why investing in the right services matter and what companies can expect when new technology placed into the fray is vital. With so many options out there, a common issue supply chain leaders face is being uncertain about which technology to invest their time and money into. There are countless service providers and technology manufacturers all ready to say that their process is the right fit. Vetting can become extraordinarily intimidating and is often the reason businesses opt for pushing off their modernization process. Waiting for an industry standard to come around could lead to a company falling behind. Doing the research and finding out if a service is a right fit today will be critical when it comes to adopting new technology in the modern supply chain. When reading up on the latest supply chain technology the themes most likely focus on all the good it can offer a business. Though these new digital technologies deliver a host of benefits and new capabilities, they often leave out how it may disrupt a workforce. People dislike change, even when it’s for the better, it can cause newly adopted technologies to become underutilized or forgotten about altogether. However, when a service provides real value to an organization, employees will be much more willing to take the time to learn and utilize the technology currently. Just because a supply chain features the latest technology doesn't mean they will continue to grow and improve on their own. Rarely does a technology exist that is completely autonomous, requiring no human intervention. Technology, especially when it comes to the supply chain is meant to offer insights or make a process run smoother. Supply Chain professionals must take the time to experiment with their systems and services to get the most of the digital supply chain. Continuous improvement should be the goal for any supply chain that implements new technology throughout their supply network. One thing that is impossible to miss when discussing the latest and most practical supply chain technologies are the overwhelming benefits it can have on a supply network. Businesses can gain improved visibility, understanding what role each link in their supply chain plays and supply chain managers can eliminate headaches and act more efficiently. All of this success depends on having a clear understanding of what needs to be accomplished and implementing the right technology to achieve a stated goal. When appropriately used, innovative technology can have a drastic impact on the effectiveness of any supply chain. John McDonough, the head of inventory and planning for discoverpeach.com was having challenges with on-time air freight shipments from one of their factory locations overseas. John was looking for an easier way to ship goods via air freight, searching for better transit times and lower costs. Using AirFreight.bid, John entered his shipment criteria, sent rate requests to multiple global air freight providers and within seconds had instant rates to move his goods. John thought he could achieve a faster transit time, so he used the spot quote function in the AirFreight.bid system. This returned the rate and transit time he wanted within hours. Peach, a woman’s fashion apparel online retailer has a unique business model. Garments can be bought through their online store and their trained stylists. A Peach stylist will guide you through your Athleisure shopping experience with some of the most modern wardrobe options. Their apparel is designed using athletic fabrics in sophisticated design styles offering insanely comfortable clothing suitable for work, play, and the gym. The other facet to PEACH is that their stylists are all independent business owners, educating clients on PEACH fashion items while being mentored through; THRIVE, the PEACH personal development program. Holiday shopping is right around the corner John and the rest of the fashion gurus at PEACH are loading up their inventory with holiday apparel. Peach shipments are moving into the US on-time, faster and at more competitive prices. When you shop PEACH, you are buying some of the most fashionable, reasonably priced Athleisure apparel available. And you are supporting independent woman business owners. 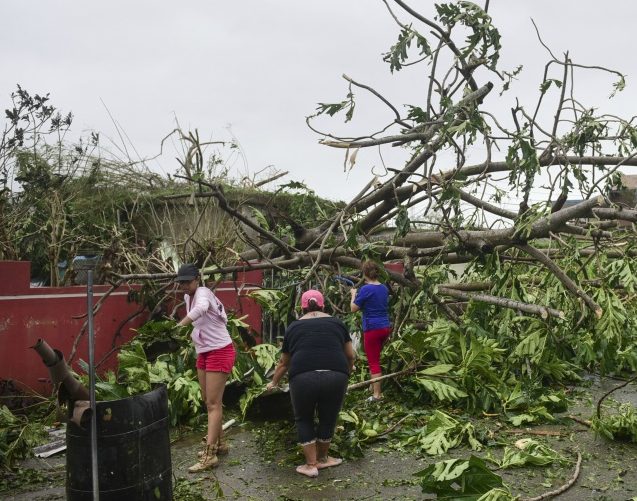 TOTALogistix, Inc. is offering a $500.00 credit for air cargo service transacted through AirFreight.bid for relief items that must move via air cargo for relief efforts to Puerto Rico and the US Virgin Islands. This is a one-time, $500.00 credit paid directly to the tendered air freight carrier or air freight forwarder to lower the cost of the air freight charges. If you are an organization or donor of relief items that must move this cargo via air freight, please contact mchristenson@totalogistix.com for further details. Wishing all of those affected by this tragedy, a fast and safe recovery. When it comes to the modern supply chain managers have a relatively new risk to consider, cybersecurity. As major logistics providers from all around the world struggle with keeping their private data secure, businesses are investing time and resources to address this serious concern. From shutting down major ports to the risk of losing private client data, the time is now to address cybersecurity in the supply chain. Let’s dive into the challenges and solutions in regard to cybersecurity for the modern supply chain. New technology is all around us and in nearly every industry imaginable. When it comes to the supply chain, connectivity is key. Having the ability to monitor and maintain key supply network operations from anywhere in the world is critical as supply chains continue to become more complex. Businesses are looking at the Internet of Things as the 21st century gold rush but at the same time leaving themselves open and vulnerable. 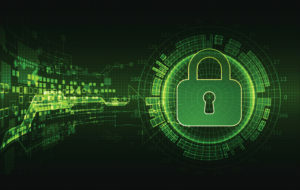 Finding a balance between connectivity and security is a monumental challenge for any modern Supply Chain professional or organization. Considering a systems security before implementing any new service will be vital to ensure cybersecurity. Consulting with the technology provider to understand what precautions should be taken can go a long way in understanding the vulnerabilities that exist and how to address them. It will be imperative to address these concerns before taking the next step and investing the time and money to make these systems a critical component of an organization. Addressing cybersecurity at the beginning of a modernization overhaul can avoid serious and costly issues down the road. Even with the most advanced firewalls, secure devices and systems an individual with inadequate knowledge of cyber threats can lead a business toward a catastrophic cybersecurity incident. Phishing emails and security shortcuts can make even the most secure supply chain a target for a clever cyber criminal. With these relatively new threats emerging at an incredible pace, it can seem as though training an entire staff to avoid cyber threats is nearly impossible. However, with a few bits of knowledge and a willingness to learn, any individual can understand and learn to avoid these serious risks. Training the staff on proper cybersecurity procedures is absolutely essential when conducting business throughout the modern supply chain. Offering them information on the latest Phishing email scams and other inherent cybersecurity flaws can go a long way in protecting a business and the resulting supply network. Even the most cyber secure facilities and networks have the potential to experience a cyber attack. Whether it was an ‘open door’ due to a staff member or a new update in a software adding a new vulnerability, the chance is always there. Assuming a network is 100% protected from a cyber attack and having no plan in place can make recovering from the disruption a nightmare. Coming to the realization that no network is entirely cyber secure and formulating a plan to react if one were to happen is essential. Consulting with technology providers to discuss the best practices and procedures to address cyber attacks can go a long way when developing a plan. Having an action plan in place and ensuring staff understands how to react appropriately if a supply network is complicated will be crucial in order to quickly bounce back from any disruption. Overall the modern supply chain faces numerous challenges and businesses must adapt to rise above these emerging risks. Understanding the risks can help a supply chain come up with solutions to ensure business will continue to run smoothly well into the future. Hurricane Harvey was first; then it was Hurricane Irma hitting the state of Florida. TOTALogistix, Inc. is offering a $500.00 credit for air cargo service transacted through AirFreight.bid for relief items that must move via air cargo to the Sunshine State. This is a one-time, $500.00 credit paid directly to the tendered air freight carrier or air freight forwarder to lower the cost of the air freight charges. We wish all of those in the state of Florida affected by Hurricane Irma, a quick and safe recovery. Due to the impact of Hurricane Harvey on the great state of Texas, AirFreight.bid is donating the use of the AirFreight.bid system for any organization that must air freight relief items to victims of this natural disaster. The parent company of AirFreight.bid, TOTALogistix, Inc. is donating a one-time $500.00 credit for one air freight shipment transacted through AirFreight.bid for relief items that must be air freighted to the State of Texas. Please visit: www.airfreight.bid and create a free account, and we will upgrade your service to “PRO” at no cost. You will have full "PRO" level access to the AirFreight.bid system and its network of carriers to move air shipments to the State of Texas or surrounding airports. 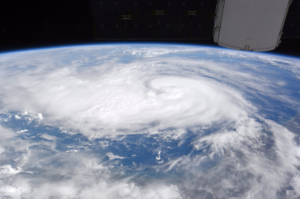 All of us at AirFreight.bid and TOTALogistix.com wish all those affected by this natural disaster a safe and expedient return to their normal lives.